There is a great Portuguese saying that really captures the feeling of trying to work in a foreign language. “É muita areia para a minha camioneta” which translates to “There is too much sand for my truck”. It’s used to mean that you are way out of your depth; a feeling I’m sure we’ve all encountered. Don’t worry, we’ll save you from uncomfortable sandy experiences. We know that there is a lot more to an accurate translation than just the language. Our Portuguese translators are all native speakers and are perfectly placed to guide you through the local customs and colloquialisms to deliver a perfect Portuguese translation. We also assign each translation to an appropriate Portuguese translator based on your exact requirements. If your translation is a legal document we will assign it to one of our Portuguese translators with deep knowledge and years of experience in that branch of law. Our excellent Portuguese translation team are standing by ready to serve you, whatever your requirements. 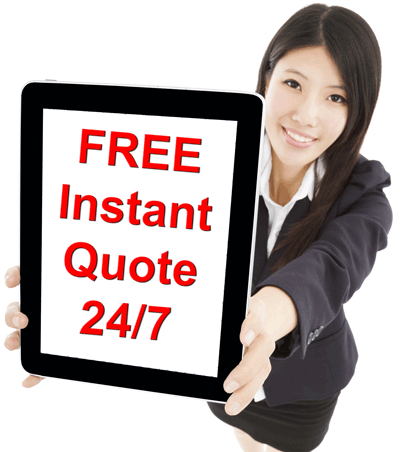 Call us today for your free, no-obligation quote. There an estimated 260 million speakers of Portuguese which makes it the sixth most spoken language worldwide. Only 10 million speakers are from Portugal itself, with a significant portion of speakers coming from Brazil. Six African countries also speak Portuguese including Mozambique, Angola and Guinea-Bissau, as well as regions of India and southeast Asia. There is a significant Portuguese population living in London. Little Portugal is an area of South London, particularly the Stockwell area, where there is a large Portuguese community. There are estimated to be 27,000 Portuguese in this part of London, one of the largest communities within the half million Portuguese British population. Portuguese is a Romance language that evolved from several dialects from the medieval Kingdom of Galicia. In the 15th and 16th centuries the Portuguese language was taken to many regions of Africa, Asia and Latin America as Portugal expanded its colonial power overseas. Portuguese became a bridge language in Asia and Africa and was used for colonial administration, trade and communication between local officials and European nationals. Several words used in the English language, particularly animal names, have Portuguese origin. Albatross, Buffalo, Cobra, Flamingo, Mosquito and Piranha all come from the Portuguese language. Why is the Portuguese language important? According to UNESCO estimates, Portuguese is the second fastest-growing European language with only English growing at a faster rate. Businesses are frequently turning to Portuguese translation services in order to make the most of business opportunities in surging Brazilian markets and emerging African economies. Brazil has become an economic powerhouse in the 21st century and has the seventh largest GDP in the world. Brazil has a third of the world’s iron reserves, an estimated 12% of the world’s surface water resources and the world’s second largest hydroelectric project now in operation. With an abundance of natural resources and biological diversity, it is an ideal place location to invest in the renewable energy and ecotourism industries. If you require a business translation, hire one of our Portuguese translators for a guaranteed accurate translation. Or alternatively hire a Portuguese interpreter from London Translations for a quick and great value interpretation service.